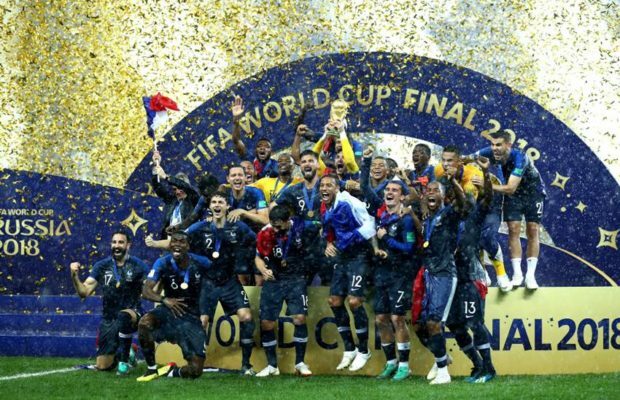 France wins 2018 FIFA World Cup - IAS - Daily Current Affairs, IAS Syllabus Exam Strategy, IAS Preparation. France has won the 2018 FIFA World Cup in Moscow, Russia after defeating Croatia by 4-2. France won this title second time after 20 years. In 1998, it defeated Brazil in home ground. Uruguay and Argentina are two other countries who won the title twice. 32 countries divided into eight groups having four teams in each played league matches, followed by quarter-finals, semi-final, and final. Croatia came all the way to Final and surprised everyone to become the smallest country to reach play FIFA World Cup final. In the 65th minute, Mbappe became the first teenager to score in a final since Pele in 1958 with a well-placed shot from outside the box. Spain received the FIFA Fair Play Award for their highly disciplined performance. Panama and Iceland appeared at their first World Cup, although neither made it past the group stage. The 2010 champions Germany finished bottom (fourth position) of Group F with three points after losses to Mexico and South Korea in the group stage. It was third-place team Belgium, who netted 16 times, became the team to score the highest number of goals in 2018 FIFA World Cup. FIFA stands Fédération Internationale de Football Association, started World Cup Tournament in 1930. So far 21 World Cup Tournaments held worldwide and only Eight national teams won became champion. 2022 World Cup Tournament will be hosted by Qatar. For the first time in the Middle East.